The REACH System, like no other, challenges students in the precise areas where they need immediate intervention – whether it is decoding, comprehension, reasoning, writing, or spelling. Count on The REACH System to close the gap in reading performance! The REACH System consists of three highly effective, research-based, and research-validated programs integrated into a comprehensive solution for accelerating learning. The core programs include Corrective Reading, Reasoning and Writing, and Spelling Through Morphographs. The REACH System, like no other, challenges students in the precise areas where they need immediate intervention – whether it is decoding, comprehension, reasoning, writing, or spelling. 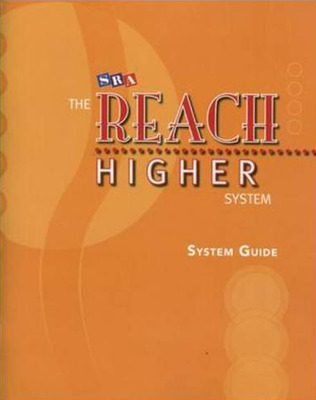 Count on The REACH System to close the gap in reading performance! This report shows how the achievement gap at Bret Harte Middle School has been closed in large part as a result of the adoption of the REACH System. This report shows student Reading scores in Charles Goethe Middle School are dramatically improved after implementing the REACH System. This report shows the dramatic increase in Reading scores at Chipman Middle School as a result of implementing the REACH System. This report shows the dramatic increase in Reading scores at Leroy Greene Mniddle School as a result of implementing the REACH System. This report shows the dramatic increase in Reading scores at South Tahoe Middle School as a result of implementing the REACH System.